If you are heading to San Diego Comic-Con this week, make sure to check out Blizzard’s San Diego Comic-Con schedule of events including panels, booth activities, and partner shenanigans over at this blog post here. Be sure to visit the Blizzard booth early to grab a few of our San Diego Comic-Con exclusive items we have available. Stare into the tiny, menacing eyes of Mini Sylvanas and tremble! Gather your friends for a Zerg Plush Rush. 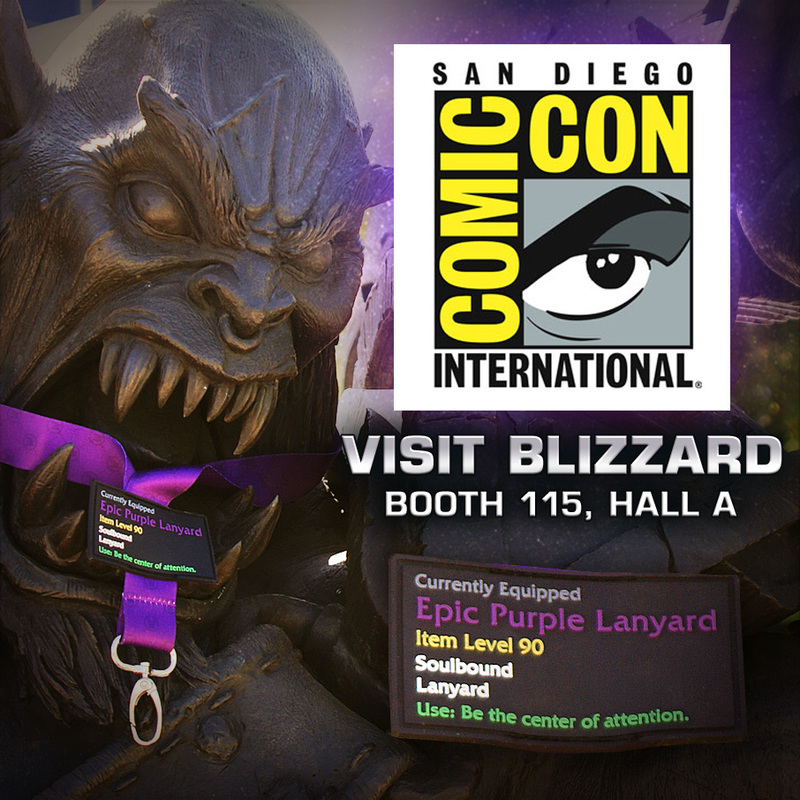 In addition to signings, the Blizzard booth will also be hosting the ‘Epic Quest of Epicness,’ your chance to score an elusive Epic Purple Lanyard! HOW TO PLAY: Stop by any one of our partner booths during the event, take a pic of an upcoming Blizzard item and authenticate that shot with us during our designated times. Legit shots will earn* lanyards! It’s as simple as that. *Limit one per attendee. Lanyard quantities limited per day; first come first serve. And if you are hanging around San Diego during Comin-Con, don’t forget to check out Gam3rCon! Our licensing partner USAopoly will be showing off World of Warcraft Monopoly and StarCraft Risk!